People do not understand their home energy usage due to unclear and inaccessible information about energy use in the home. How can we help consumers reduce their energy usage? Create a product that increases consumer awareness of energy use in the home in order to decrease waste and cut costs. Install UMI in your home to help you take control of your energy usage. UMI gives you the information and controls you need to change bad habits, and make new, better ones. Our smart light switch and electrical outlet track and display your energy usage, and relay it to the UMI mobile application, giving you 24/7 control. The UMI App is the command center of the UMI Ecosystem. Data from all UMI Switches and UMI Outlets is accessible, allowing you to dive into your data and see where your home might be using more energy than you'd like. Even better, the UMI App gives you full control over all switches and outlets, so you can make sure you don't leave the lights on when you're out of the house. The light switch is the universal touchpoint in the home for controlling energy usage. UMI makes use of this touchpoint to communicate a wide range of information based on room-specific energy usage. When a user turns on the lights in a room with their UMI Switch, they instantaneously see the total energy usage of that room, from lights to appliances. UMI Switch draws its data from the power drawn through the switch itself, as well as wireless updates from the UMI Hub, giving it access to energy consumption of all appliances in a room. The UMI Switch is touch activated with its contoured surface used to indicate the position of the switch. In a small form, the UMI Switch can replace a one, two or three gang plate. The top half of UMI Switch contains a screen for displaying usage data, and the bottom half contains the force-sensitive switches. The UMI Switch makes use of force sensitive resistors to activate lights. FSRs provide a cheap activation mechanism that allows for on/off indication as well as dimming. Embedded beneath the shell of the UMI Switch, the FSR allows you to find a switch in the dark, and activate it only when intended. 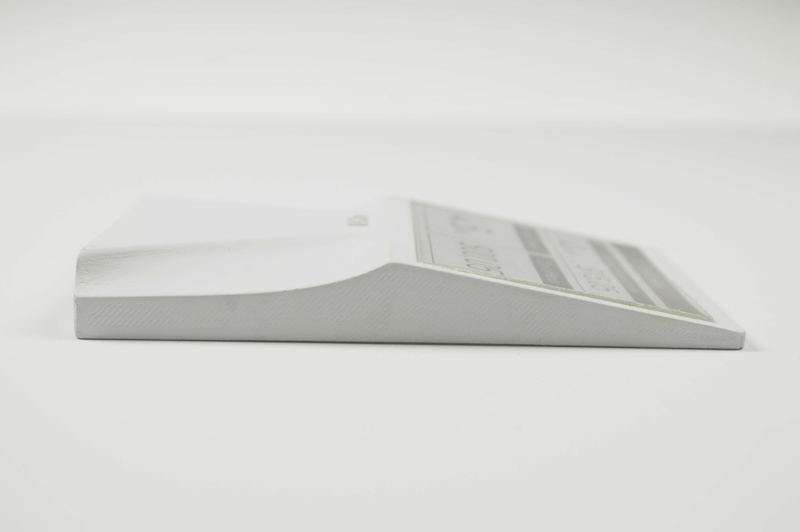 UMI Switch makes use of an eInk Paper Display to relay energy usage information to users. eInk Displays offer a multitude of benefits, namely power saving and aesthetic. eInk Displays draw no power unless they are refreshing content. In addition, by emitting no light, the UMI Switch blends into your room's decor just as a normal switch would. Installation of UMI Switch is easy. Your Switch comes in two parts, the power module, and the outer shell. Remove your existing light switch and wire the power module to the three exposed wires, following the included diagrams. Then snap the outer shell over the power module to attach the screen and switches. 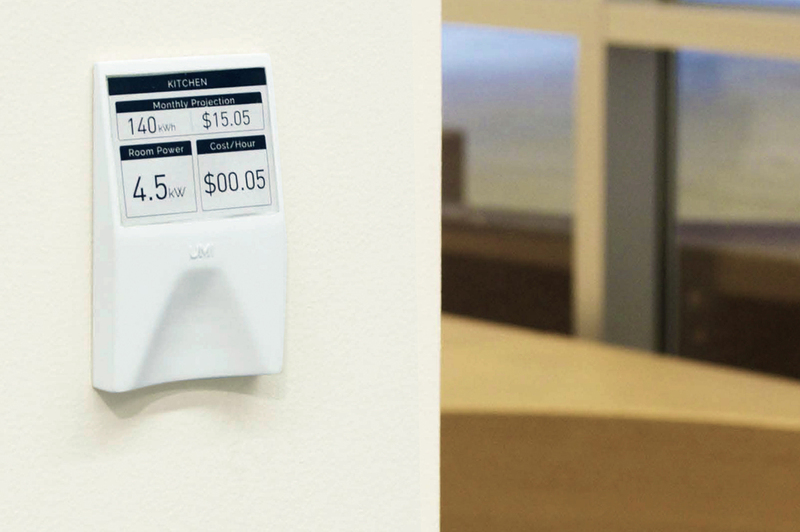 To accompany the UMI Switch, the UMI Outlet offers new capabilities to help reduce energy usage, as well as the same energy tracking technology as the UMI Switch. Install the UMI Outlet to monitor the power of appliances plugged into it. Usage data is relayed wirelessly back to the UMI Hub. The UMI Outlet is unique, offering standard 120V AC outlets as well as 12V DC USB outlets for charging everyday gadgets. The two AC outlets can be turned on and off with simple pressure sensitive switches, so you can always access them easily, be it with hands or feet. All power that passes through the UMI Outlet is tracked and relayed wirelessly back to the UMI Hub where it can be viewed on the room's UMI Switch, or on the UMI App. The UMI Hub is the centerpiece of the UMI Ecosystem, tying the UMI Switch, Outlet, and App together. From the internet connected Hub, tracked data is pushed to your home's UMI Switches, as well as UMI's servers, where it can be viewed and analyzed through the UMI website, or mobile app.